Photo: Eric Beckwitt, Freightera CEO, at the Clean50 Awards ceremony with the other winners in Manufacturing and Transportation category: Mario Plourde, CEO of Cascades, and Sarah Buckle, Director of Enterprise Risk and Sustainability at Translink. Clean50 CEO Gavin Pitchford presents the awards. Exciting news for our friends and customers. Freightera CEO Eric Beckwitt’s work towards the green future of freight has been honored by a prestigious 2019 Clean50 Award. 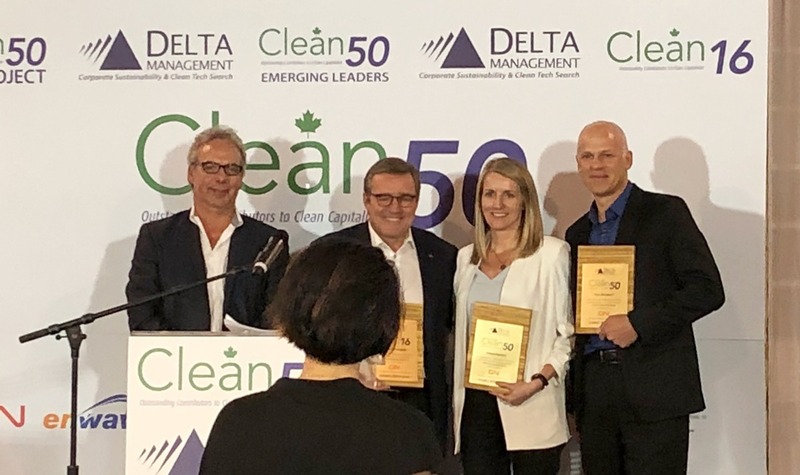 The award was presented at the Clean50 Summit in Toronto on September 27, 2018. Canada’s Clean50 annually offers recognition to leaders in sustainability for their contributions over the prior two years. The award winners were selected from more than 600 nominees and competed in 16 categories including Manufacturing and Transportation, where Eric Beckwitt won the award along with Mario Plourde, CEO of Cascades, and Sarah Buckle, Director or Enterprise Risk & Sustainability at TransLink. 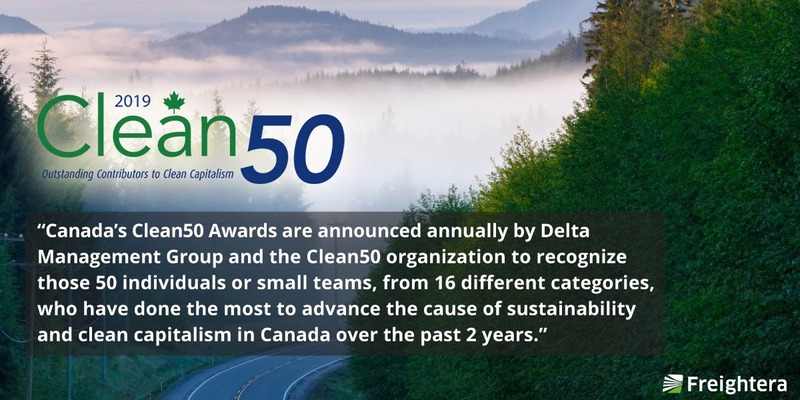 Clean50 is one of the most important awards for corporate contribution to environmental sustainability in Canada. This means a lot to everyone at Freightera. Freightera’s mission is to make freight easy, accessible and green.